WiFi for Coffee Shop provides return on investment. The owners of family cafe Eat Play Love wanted to offer a WiFi Hotspot to their customers but being business-savvy, wanted to make sure offering the WiFi for free was not a one-way street. A survey carried out by electronics firm Samsung suggests changing tastes and a love of coffee has little to do with where those working away from the office choose to consume their caffeine. Over a third rate their favourite coffee shops on the basis of whether free Wi-Fi is available, and 60% consider wireless “important” when picking a cafe to work in. More than half of those surveyed said they regularly use coffee shop Wi-Fi for accessing work-related documents and email. 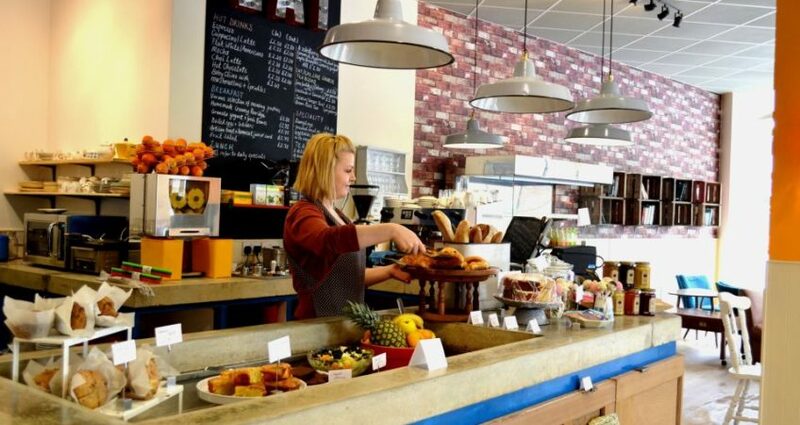 Samsung’s Mark Ash said a trend of people working in coffee shops was “steadily increasing” in the UK. The big chains including Costa, Caffè Nero and Starbucks give customers wireless internet free of charge, and the vast majority of independent coffee shops have started doing the same. Charging for WiFi is a decreasing trend. The survey also found over 70% of people who do work using coffee shop Wi-Fi do so on a smartphone, and that currently only 9% have superfast 4G, so most rely on free hotspots when they need a fast connection while out and about. Facebook was the main reason for going online whilst out and about for consumers. Over 20% said they use free Wi-Fi to search for better deals on potential purchases. Although it’s easy to give out the password for a business broadband router, there are a miriad of problems associated with this approach. Security – Wifi users have access to local network – this could include till systems, credit card data etc. Could this access be totally blocked? Bandwidth Hogs – several users on laptops/tablets can max out your bandwidth, restricting your own internet traffic and potentially causing you to reach your broadband plan limits. Could you limit each user to a fair amount of bandwidth? Illegal/Inappropriate content. Legally, the broadband contract holder is liable for the content accessed over their connection. Handing out the WiFi code gives no way of knowing who has accessed what. Is it possible to offer free WiFi and protect yourself from legislation? Staff productivity loss. How long do your staff spend updating their social media profiles? Wouldn’t it be useful to know who spends longest on Facebook? The answer to all these problems is YES. There is a way to solve the problems inherent and unavoidable in using a standard broadband router for WiFi. When customers come to your coffee shop, cafe or restaurant you have a captive audience. They already think you are great for providing free WiFi, so why not build on that with a commercial-class service that’s as good-as, if not better than the big chains. Security – The 2020Media Wifi HotSpot creates seperate firewalled ‘zones’ with absolutely no access between your own network and the guest network. You can even run a seperate network for staff, at no extra cost. Bandwith Hogs – Set per user, and per HotSpot bandwidth limits, but don’t drive customers away – our service includes SpeedBurst technology that gives an instand boost for normal web browsing. Block unnecessary services such as background computer updates. Illegal/Inappropriate content. A built-in firewall is used at the network level to control access to websites. Completely user configurable, inappropriate content can be blocked if required. Individual domains (website addresses) can be blocked or allowed if needed. Staff productivity loss. Each user’s device can be labelled and application use monitored and controlled. Time of day controls are available to allow different classes of service to make sure productivity during busy times does not suffer from distractions. The owners of Eat Play Love Cafe were very pleased with the results from using 2020Media WiFi hotspot service. The fully managed service meant there were no on-site IT headaches, and the benefits to the business were multiple. The owners gave their top 3 benefits. Greater social media engagement thanks to Facebok login system. Increased Facebook ‘Likes’ and Check-Ins, Friends of facebook-using customers heard about us, and this brought in more customers. Worries about security and PCI compliance resolved. With the WiFi running in it’s own secure zone, we were even able to download a PCI compliance certificate from the system. We saw an increase in profitability after 2-3 months and we put this down to 2 things – customers choose us over other local cafe’s because our WiFi is better, and optimizing staffing by detecting peak and slow times. 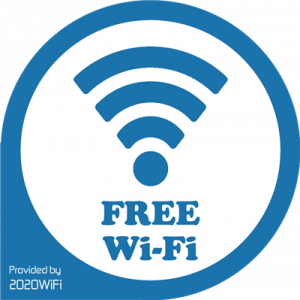 2020Media offer a fully managed WiFi service for your premises. We provide a WiFi hotspot configured to your specification. If you are based in London we will come and fit it for you – otherwise it simply needs connecting via the supplied cable to your broadband.